My friend pointed this out towards the end of a nightcap a while ago. I found her suggestion both accurate and somewhat snarky. It was the truth however, and I felt no shame in acknowledging it. Emotions have been swinging lately- foot pain, lethargy, and loneliness mixed with equal parts music, food, and professional success seem to make stability illusive. 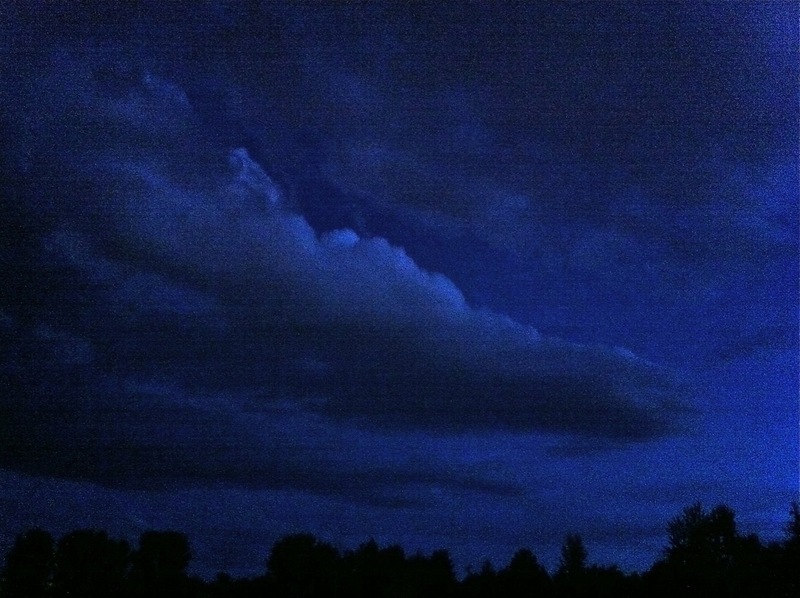 Moonlight on clouds above the Clark Fork- an ideal setting to do some thinking. My broken foot has kept me away from most of my stabilizing and affirming summer activities (climbing, running, hiking, etc. ), and I dislike the prospect that my running season is likely over for the year. No surprise that I’ve been feeling a gaping void in my life without these things to fill in. Summer is here in earnest, and while the void has been partially filled with BBQs, music, and new activities (like canoeing? I haven’t been in a canoe in years…), I’ve found it easy to slip back into the frame of mind that yes, life was better in Portland. I think about the process of moving to Portland in 2007 (the last time I really moved to a new place permanently), and realize that the deep and painful self-inspection and re-creation of myself that I went through during my early time there masked the challenges of embracing a new place and new people. Embracing the new things seemed secondary and easier than the more immediate challenges of addressing some problematic issues at the core of my character. Here in Missoula, my goals seem bigger and I expect more of myself, and thus the challenges may seem harder (fun to note that the challenges I’ve struggled with are consistently related to the goals I described when I moved here). 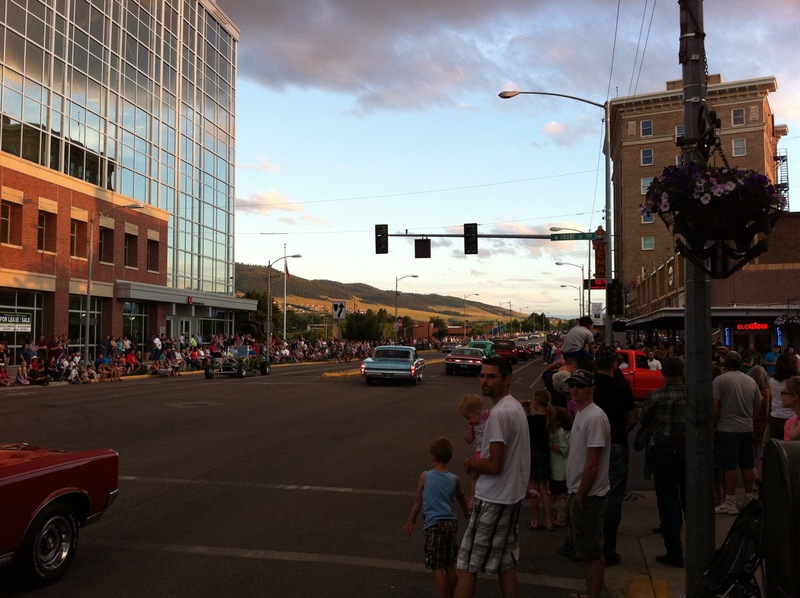 Was showing my new roommate around Missoula last Friday and stumbled upon a classic car show “cruising the strip”. Small town American west at it’s best. I found myself reading a stellar blog by Liz Clark (patagonia surfing ambassador and world traveler extraordinair) last night, and somehow it reminded me that while Portland was an important part of my experience, that was then and it isn’t now. I left that place because I stopped finding magic happening there. 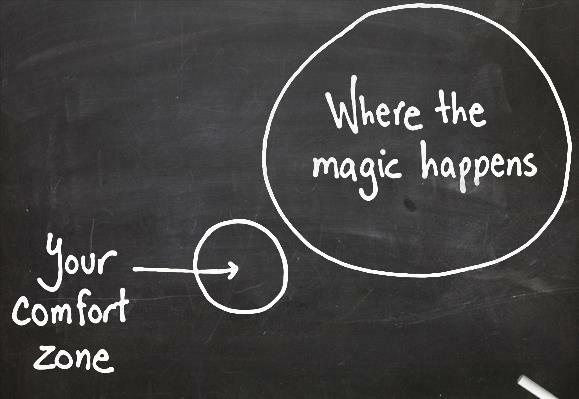 Where the magic happens is almost always just outside of your comfort zone. I’m out to sea on my journey, and while it occasionally isn’t as pretty or fun as Ms. Clark’s, it’s mine, and being outside the comfort zone (that perhaps Portland represents to me right now) is a good sign that I’m doing it right. This entry was posted in Philosophy, Portland, Traveling on July 1, 2012 by sticker1. we shared this epiphany my friend. hope Missoula is providing you with a safe haven for personal reflection and growth.